Scarborough police say a man was shot at a home on Ash Swamp Road early Monday morning. 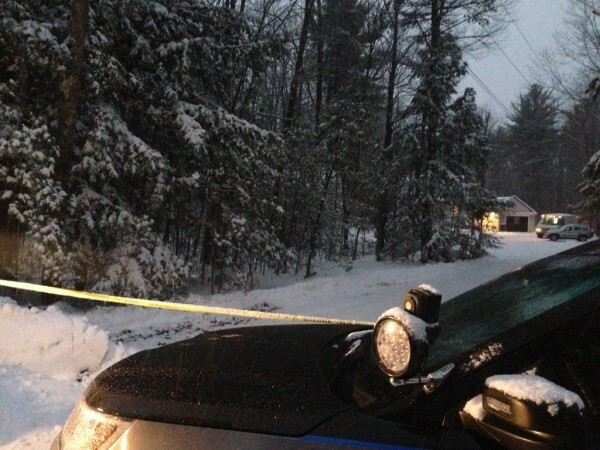 SCARBOROUGH, Maine — Scarborough police say a man was shot at a home on Ash Swamp Road early Monday morning. Police say 47-year-old Bruce Glidden is at Maine Medical Center recovering from gunshot wounds that are not life-threatening, which he received while asleep in the home. Police say the call came in around 1:30 a.m. At the time of the shooting, Glidden’s wife, Amy, and two children were asleep in other areas of the home. Police say they awoke to gunfire. They were not harmed. No threats were made to family members and the suspect or suspects fled the scene immediately after the shooting, according to police. The suspect entered the residence through an unlocked door. Police do not know if anything was taken from the residence. Detectives from the Scarborough Police Department are canvassing the neighborhood for information. The shooting appears to be a targeted event. Anyone with information is asked to contact Scarborough police at 883-6361.